Driving on a highway, even in the best weather, is a daunting undertaking, especially for novice drivers. When the weather is bad, as it currently is over many parts of South Africa, some drivers become anxious, and seem to forget the basics of highway driving. We spoke to the Automobile Association and asked them for a few tips.According to the Automobile Association (AA) drivers who are anxious, or drivers who disrespect the rules of the road, cause problems for other drivers. “Driving on a highway requires skill and patience, especially when you know there is a strong likelihood that traffic may be backed up. It’s really critical to know what you are doing, and to always adhere to the rules of the road, even if traffic is moving slowly. And don’t underestimate your role in the free flow of traffic; even a small incident can cause delays for thousands of motorists behind you, so it’s important that you drive safely, and properly, at all times,” the AA said. In a recent survey conducted by the AA, 57% of respondents rated their driving on highways as above average. A further 21% said their driving on highways was ‘near perfect’, while only 21% said their driving was average. No respondents said their driving was below average and only one percent said they avoid highways where possible. “These results indicate that too many drivers believe they are infallible on the roads. Too often this attitude is the root of many incidents on the road where drivers blame others for the problems on the road and not themselves. This is a big problem in South Africa where statistics show that driver attitude is the cause of many crashes,” the AA said. The Association offered a few basic tips to motorists who drive on highways, especially novice drivers who may be unfamiliar with the roads. Keep your car in good condition. The highway is a bad place to breakdown. Remember any roadside assistance services will also need to negotiate the same heavy traffic to get to you. Make sure your engine, brakes, tyres, and indicators are all working properly. Keep calm while driving. Driving on a highway can be stressful but it is vital that you remain as calm as possible during your journey. Also be confident on the road, and drive like you belong there. Remember, too, that if you constantly apply your brakes unnecessarily you will create a concertina effect of stopping behind you, which is one of the biggest causes of traffic snarl-ups. Know your route. If you have never driven on a highway before, it’s important that you practice first. Pick a date and time when the road is likely to be least busy such as a weekend. Also listen to local traffic reports, and monitor social media for possible problems on your route. If you are an experienced driver, have a back-up route if possible. Know the rules of the road. Rules are there to protect everyone, and it’s important that we all obey them. Understand the markings on the road, and when you can, or cannot, change lanes. Also always indicate your intentions by using your indicators, that’s what they are there for. Learn to operate your car at low speeds. Highway driving is not always about fast driving; many times the road is congested and cars travel at slow speeds. Make sure you know how to drive at a slow speed, and in start-stop traffic. Enter the highway safely. 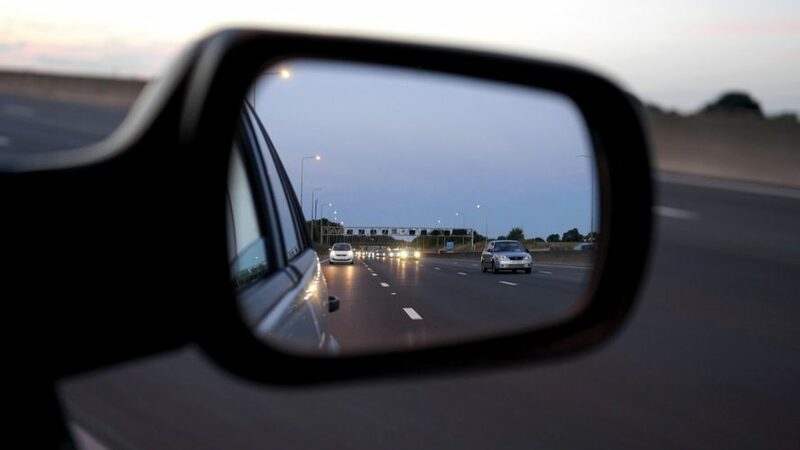 When merging with traffic always check your rearview mirror and side mirrors, and check your blind spots to ensure it is safe to join. Always use your indicators and enter the traffic at the same speed as flowing traffic. Driving too slowly or too fast can cause problems, so always be alert. Put away all electronic devices. Driving on a highway requires your full attention. Do not be distracted with cellphones, or any other electronic devices. Be respectful of other drivers who also want to reach their destinations safely and on time. Texting while driving is extremely dangerous. Keep a safe following distance. It’s not always possible, especially in bumper-to-bumper traffic, but maintain as safe a distance as possible from the car in front of you. Drive according to the conditions of the road and remember you are not there to enforce the rules of the road, only to obey them. Also be aware that you may travel some stretches with a clear road ahead of you, but suddenly find heavy traffic further up. Always be alert to this, and make sure you leave enough room to slow down and stop if necessary. Keep calm while driving. Driving on a highway can be stressful but it is vital that you remain as calm as possible during your journey. Remember that everyone makes mistakes (including you) and be courteous and considerate of other drivers. Always wear your seatbelt. Just because highway traffic is slow it doesn’t mean that you can unlock your seatbelt. Remain in your seatbelt throughout your journey, and remember that your passengers also need to be secured. It’s the law that toddlers under three must be in a car seat.